Another notable spark to his passion for music was when Jordan saw Michael Jackson’s Motown 25 performance on YouTube. He knew right then and there that he wanted to be just like Michael. Jordan would watch all of Michael Jackson’s videos and even watched the biographical film on the Jackson’s, “An American Dream” a few times. Jordan then added dancing to his daily practice sessions which already involved drums, keyboards, guitar, bass and vocal training. 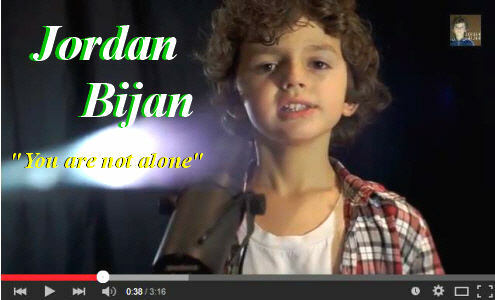 Jordan did his first YouTube video accompanying his dad on a cover song. Jordan played piano while his dad sang and played guitar. He was hooked and wanted to do his own videos. Up to this point he had not received much vocal training, so he did a couple of cute rap videos. One video called, “How To Write A Hip Hop Song In 30 Seconds” went viral gathering millions of views and shares on Facebook, YouTube and World Star Hip Hop. 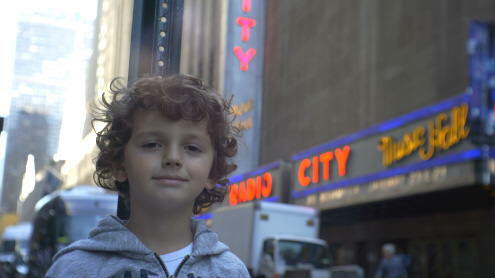 Suddenly people were recognizing Jordan on the street and he really enjoyed the limelight. 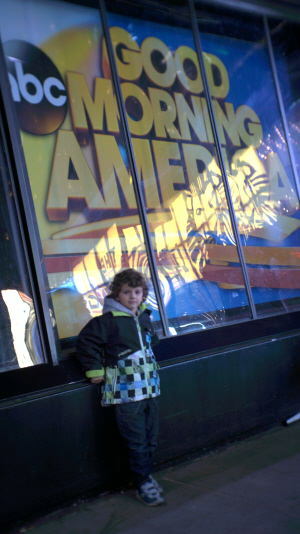 Jordan was later featured on a US TV show called “Right This Minute”, a popular Canadian morning show called “Canada AM” and he was even flown to New York to appear on Good Morning America. 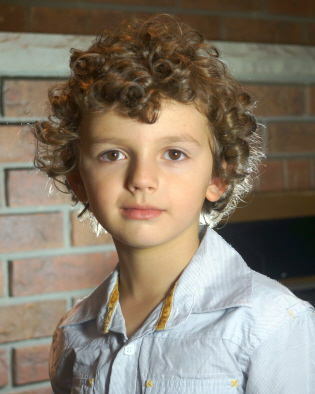 Jordan is now in First grade, so his time is more limited since he is going to school for a full day. Still, he manages to practice for 2-3 hours per day, mainly focusing on voice, drums and keyboards with his dad. The only professional training he is getting is a half hour vocal lesson once per week at a local music school and two dance classes per week (hip hop and break-dancing) which he really looks forward to. Jordan has expressed interest in taking professional guitar lessons and drum lessons (so he can learn “fancier beats”, as he puts it. However, I’m told that that will have to wait since Jordan’s two sisters are also in activities. Jordan continues to practice his talents and make videos. 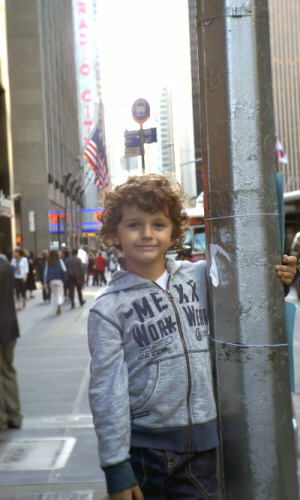 Because he also expressed an interest in acting, his father took him to an audition for an exclusive agency in Toronto where he was accepted. Although he is just learning to read, he is very good at memorizing lines and lyrics within minutes. Aside from music, Jordan really enjoys drawing and coloring. His Kindergarten teacher stated that in her twenty years as a teacher, she has never come across anyone with Jordan’s drawing abilities at such a young age. As for toys, his favorite would have to be Lego’s. Jordan’s favorite foods are Lasagna and Nutella filled crepes, he loves watching musical movies like “The Jackson’s”, “La Bamba”, and “The Buddy Holly Story”. He enjoys playing Soccer and skating and lists his favorite artists as; Michael Jackson, Bruno Mars and YouTube Star Megan Nicole. 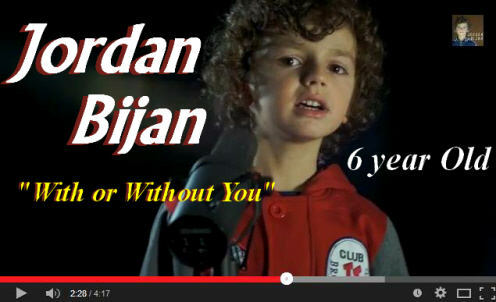 While it’s too early to predict where Jordan Bijan will end up in the entertainment world, it’s clear that he has begun a musical journey that will be both exciting for him and enjoyable for us to observe! You can be sure that Rivenmaster’s Place will be watching with great interest. There is no doubt that we are witnessing the birth of a real entertainer, who will amaze us even more the next time he appears here!